Fellowship House Recovery Services is a substance abuse recovery center that offers its services to individuals struggling with alcoholism, substance abuse, and co-occurring disorders. The mission of Fellowship House Recovery Services is to help struggling individuals in maintaining a sober and productive life through personal, social, and vocational education and training. At Fellowship House, everyone knows that the underlying causes of addiction and dual-diagnosis disorders have to be identified in order to treat the client and achieve lasting recovery. The center offers medium-intensity and low-intensity residential programs to meet the needs of individuals with varying levels of the disease. Each client is offered individualized treatment based on his/her unique needs and conditions. Clients are offered evidence-based and historically-proven therapies and treatment modalities that focus on healing them physically, emotionally, socially, and mentally. Holistic treatment approaches as employed to treat the person as a whole instead of just treating the symptoms. The credentialed staff at the center provides a comprehensive continuum of care to clients, thus empowering them to develop the necessary skills to achieve a sober life and then maintain it by preventing relapse. Clients are enabled to lead a productive and fulfilling life while contributing to the betterment of society. 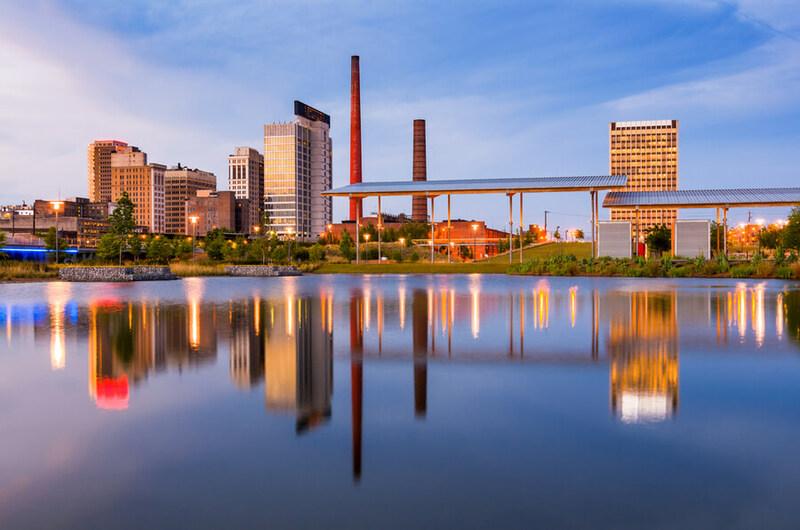 Fellowship House Recovery Services offers residential treatment and other facilities to clients in a campus located in Birmingham, Alabama. The facility is located in a beautiful and spacious house with front and back yards. Clients stay in gender-specific rooms that are shared among two to three residents. Each room is decorated home-style and furnished with twin beds, nightstands, desks, and closets for each client. There are two communal bathrooms; one for men and the other for women. There is a living room in the house which is furnished comfortably in sofas and chairs. The living room provides residents with a relaxing place where they can socialize and watch TV in their free time. Residents are required to do basic chores in the house like helping out in the kitchen, cleaning, and maintenance of the house etc. The house has a fully equipped kitchen where meals are prepared. A chef prepares healthy and nutritious meals for residents three times a day. Clients gather in the dining room at each meal time and eat together. Special dietary restrictions and/or food allergies of residents are also accommodated at the house. After each meal time, residents help in clearing out the tables and washing the dishes later. Fellowship House Recovery Services offers alcohol and drug abuse treatment services to adult men and women at affordable rates. There is an admission fee of $35 that has to be paid upfront at the time of admission. After that, a sliding scale cost is established for each individual based on their ability to pay. The residential program service fee is calculated at 30% of the net income of the client. The center also accepts insurance plans of certain companies and is funded primarily by United Way. The staff at the admissions office provides clients with all the financial information and helps them find the most affordable option. Fellowship House Recovery Services was established in 1965 and since then has been serving the residents of Alabama for alcohol and drug addiction. The center also offers treatment for co-occurring behavioral health disorders. Clients are provided with a number of treatment options including inpatient and outpatient services. Medium and Low-Intensity treatment levels are offered in each treatment program. Based on individualized treatment plans, each client is offered individual and group counseling that helps heal their minds, bodies, and spirits. The treatment comprises holistic approaches that focus on the physical, emotional, and social aspects of healing. Clients are also offered vocational assistance and training which help them in securing a job after leaving the facility. They are taught independent living skills, financial independence skills and sober living skills thus enabling them to become independent, productive, and sober members of the community. Fellowship House Recovery Services offers comprehensive treatment services to adult men and women for alcoholism, substance abuse, and dual-diagnosis disorders. The center has been successfully providing hope and healing to thousands of individuals each year. This success can be attributed to the dedicated and compassionate efforts of its staff. The staff comprises a team of highly trained and experienced healthcare professionals who provide quality care and services to their clients. The staff members provide a complete continuum of care to clients to help them leave their old habits, adopt a healthier lifestyle, and become independent and sober individuals. The staff members include Licensed Professional Counselors (LPCs), Licensed Chemical Dependency Counselor (LCDCs), Marriage and Family Therapist (MFT), Therapists, Counselors, Social Workers, Licensed Social Workers, and volunteers. All teams are managed by a clinical leader who supervises the operations of various programs and guides other members of the staff.